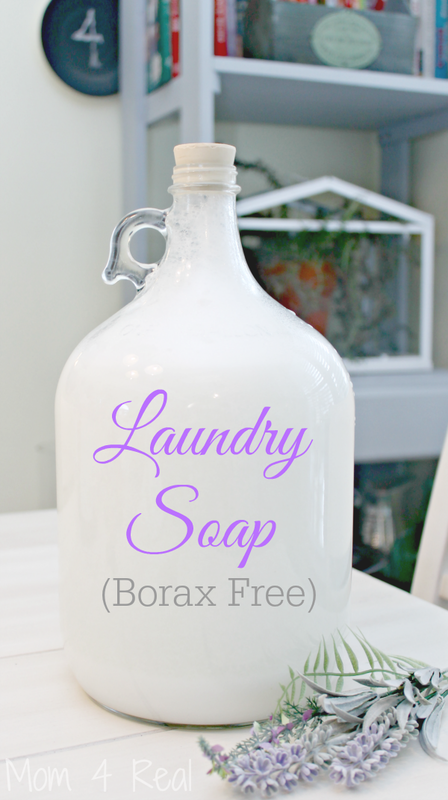 This Homemade Liquid Laundry Soap is Borax Free and so simple to make. You are going to love it! I love making all of my own homemade cleaning products, and have been using my homemade laundry detergent for over a year now. 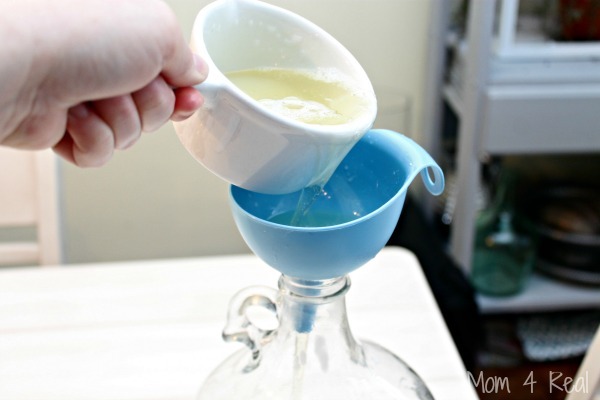 I’ve had a few of you ask if I had a recipe for liquid laundry soap, and wanted to try one out before sharing it with you. I never want to share anything that I haven’t tried myself. After 3 different recipes that I didn’t really care for, I finally found a liquid laundry soap that I love, and it’s Borax free too! 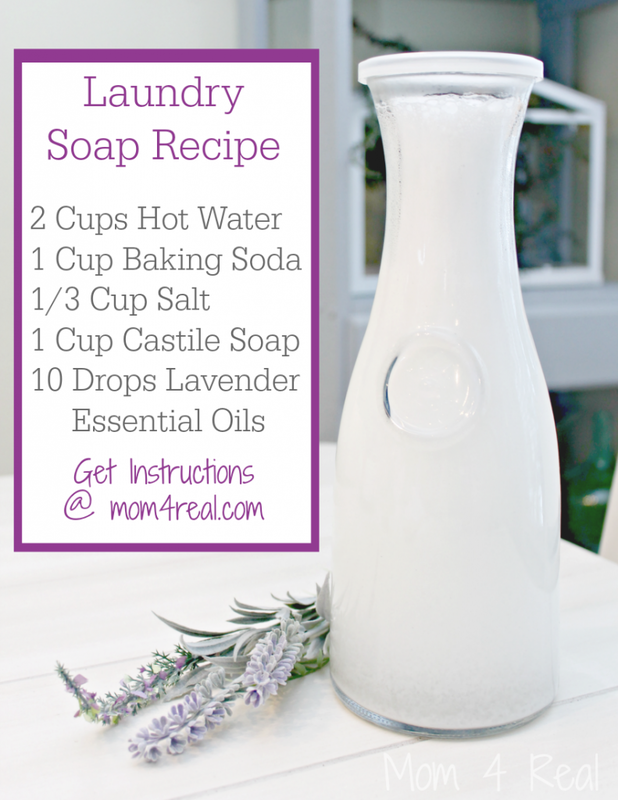 I can make my own in minutes and feel really good about washing my family’s clothes with no chemicals! 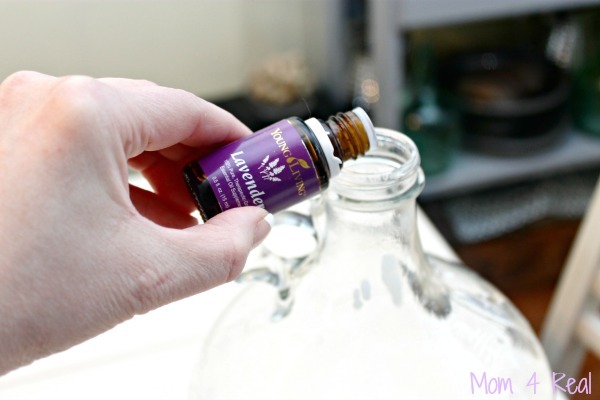 This recipe is HE washer safe, and smells fabulous too! This post contains affiliate links, which means that if you make a purchase via the links provided, I will receive a small commission. To print out the recipe, click the image above, then right click and save or print! Ok…let’s make it! 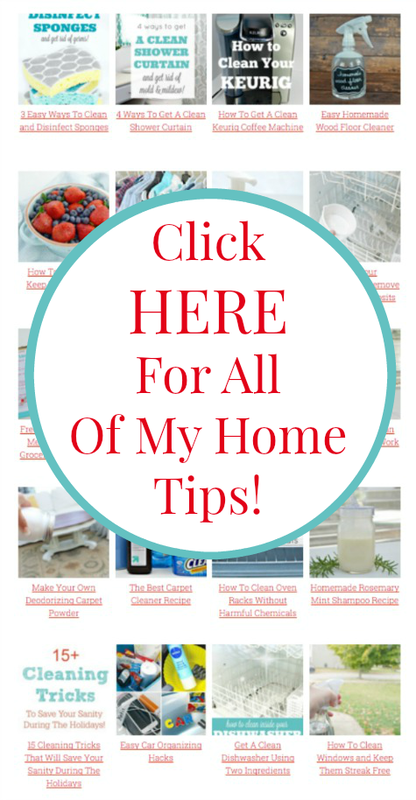 Combine two cups of warm water, 1 cup of baking soda and 1/3 cup of salt in a gallon jug. 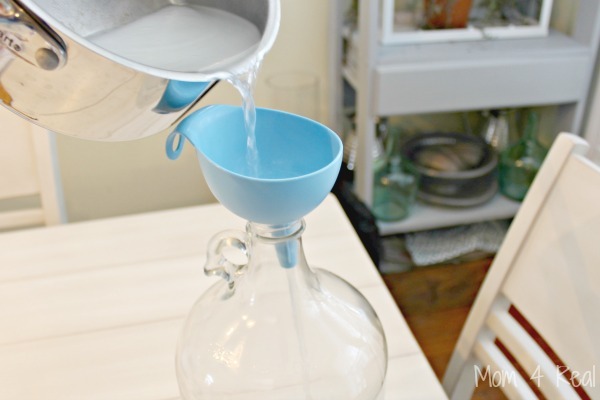 You can use an old milk jug if you like. Make sure the lid is placed securely on the jug and shake well. NOTE…the ingredients will separate. No need for them to dissolve together. Because chemicals are left out of this recipe, they have no bonding agent. I’ve used this recipe so many times, and it works wonders…just give it a shake each time before using. Now add 1 cup of Dr. Bronner’s Castile Soap. You can choose any scent you like. 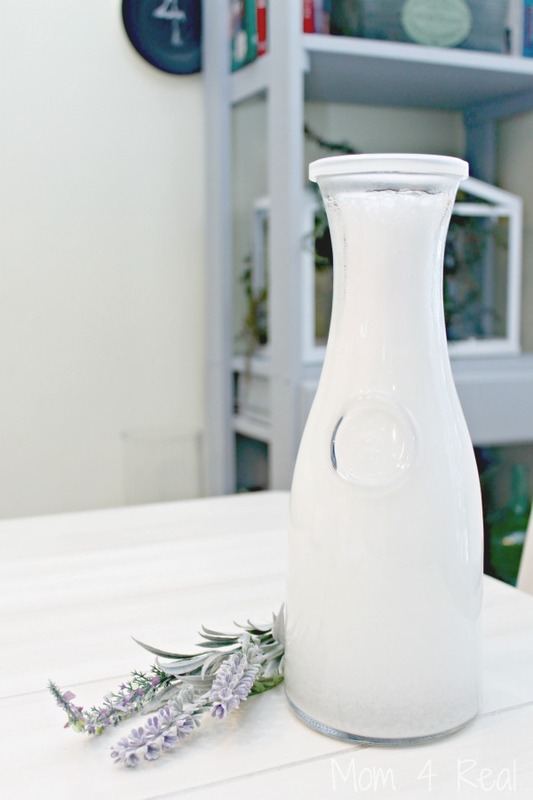 I love the lavender scent, but there are several others including an unscented one. Now add 10 drops of Lavender Essential Oils. If you don’t love lavender, you can use any other essential oil you like, or just leave it out completely. I usually make a large jug of laundry soap, but usually put it in smaller containers that are easy to lift. Plus, I can share it this way! For each load of laundry, I use 1/4 cup of this fabulous detergent! Our clothes come out smelling wonderful and super clean! This mixture doesn’t suds much, making it perfectly safe for HE washers as well! Shake well before each use!